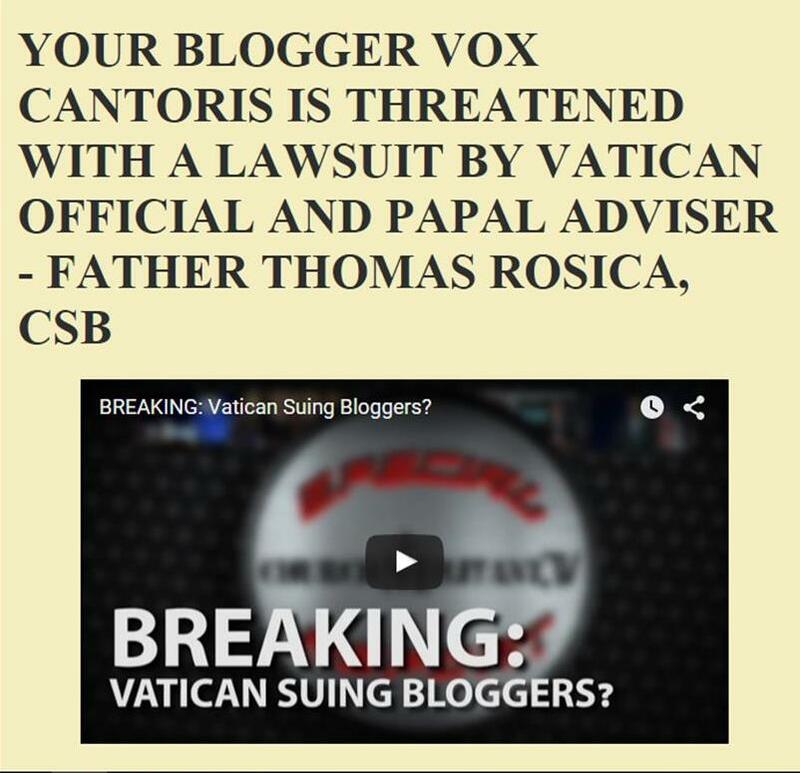 Vox Cantoris: Pius XI or Francis - Whom do you believe? Pius XI or Francis - Whom do you believe? Whom do you think is correct? I first read about this via The Remnant's story on the Pope's statement. As one commenter there noted, in fairness to His Holiness Pope Francis, he simply offered the same notion that has been advanced by the past few Popes. In fairness, therefore, the headline could read: Pius XI or Benedict VI — Whom Do You Believe? Not that I'm saying that the following has benefitted the Church, but what Pope Francis has offered is a repeat, for example, of that which Pope Benedict XVI, on January 19, 2012 A.D.m during his Ad Limina Visit to the Bishops of the United States, declared. That is, in Pope Benedict XVI's words, there exists a "legitimate separation of Church". That is what Pope Francis has repeated. In his 2005 A.D. Encyclical, Deus Caritas Est, Pope Benedict also advanced the notion of separation of Church and state. "Fundamental to Christianity is the distinction between what belongs to Caesar and what belongs to God (cf. Mt 22:21), in other words, the distinction between Church and State...the State may not impose religion, yet it must guarantee religious freedom and harmony between the followers of different religions." *******That is what Pope Francis said. Pope Benedict XVI first, then Pope Francis, have insisted that "the State may not impose religion". Rather, the State must permit the existence of "different religion". How does that square with Pope Pius XI's denunciation of the unfortunately reality that via the State, the Catholic Religion has been "placed ignominiously on the same level with them" (false religions)? "This is where Catholic social doctrine has its place: it has no intention of giving the Church power over the State. Even less is it an attempt to impose on those who do not share the faith ways of thinking and modes of conduct proper to faith. It recognizes that it is not the Church's responsibility to make this teaching prevail in political life." There you have it. Long before Pope Francis became Pope, Pope Benedict XVI declared the same teaching in regard to the separation of Church and State. Do Pope Benedict XVI's teachings on Church-State square with Pope Pius XI's teachings in question? If they do, then the same must be said of Pope Francis' comments in question as they repeat simply that which Pope Benedict XVI said. If Pope Benedict XVI's teachings in question oppose Pope Pius XI's teachings on Church-State, then, of course, that would also apply to Pope Francis' teachings in question. Again, Pope Francis repeated simply Pope Benedict XVI's theme on the Church-State issue. Thank you for the lovely image of Christ the King. + Come, let us adore our King and God! + Come, let us adore Christ the King and our God! + Come, let us adore and bow down before the very Lord Christ the King and our God! It did not begin with Francis. The above is what Pope Francis should be doing and what has been clearly lacking for years. We revere Christ as King by keeping His word, doing His will and giving example to other Catholics and non-Catholics alike. The way to win over non Catholics is for us to demonstrate that the Catholic religion changes our lives for the better. Substituting misplaced Mercy for strict adherence to Christ's word will only make non-Catholics think of us as hypocrites. And they are so right!